The previous wordmark was certainly showing its age, with the italicized ‘i’ presumably meant to evoke thoughts of iPods and the Internet. The wave design, while an important reminder of Halifax’s seaside location, is too generic to be memorable. The new logo is an entirely modern take, and certainly in-step with colourful designs seen elsewhere in Canada (Kitchener Public Library or Edmonton Public Library). The abstract nature of the squares/pixels and rectangles/paper is also quite current, with abstraction being a primary feature of the brands of Anythink Library, Calgary Public Library, and the logo-that-might-have-been at Seattle Public Library. (One potential challenge with an entirely abstract logo is that the viewer might be left wondering if there is supposed to be inherent meaning from the overall shape: do the dots represent Halifax? The branch locations?). The colourful logo is in contrast to very simple and plain grey text for the library’s name. The colours of the logo are meant to be extensible, modifiable to suit the needs of particular events or campaigns. 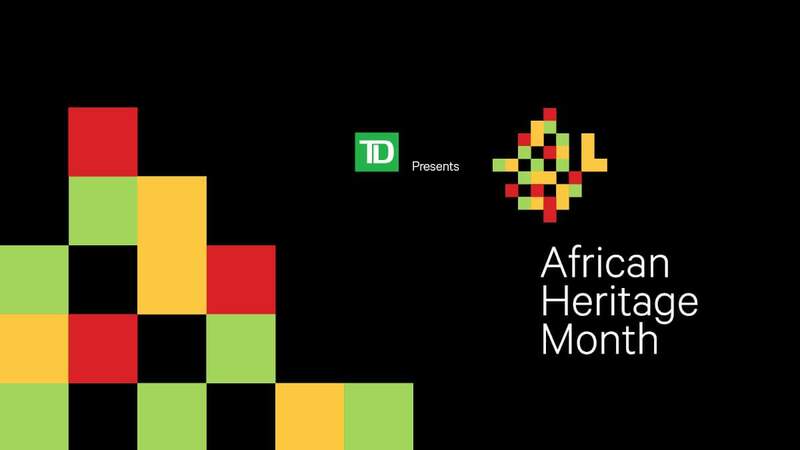 An example of this is the modification made for the promotional material for African Heritage Month, below. The visual identity rollout was tied to a new strategic plan for 2017-2021, available on the Halifax Public Libraries’ website, and inline, below. Public reaction to the new identity on social media has been very positive. Below, some reactions and artistic interpretations of the new “pixel and paper” logo. You can view other implementations of the new visual identity on Breakhouse’s Behance gallery.